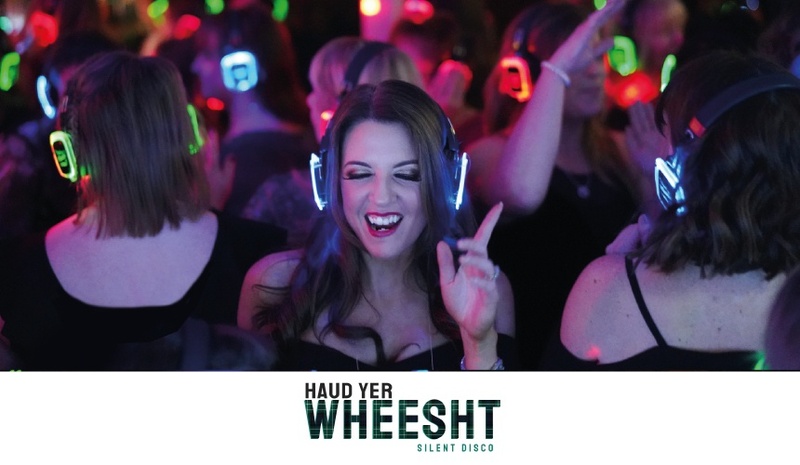 For our lucky winner and their guests, a Haud Yer Wheesht DJ will be making an appearance to round off the night with 90 minutes of Silent Disco! With three channels to choose from, Red, Green and Blue (each one a different genre) your guests will all be partying together to exactly what they want to hear! Green Channel - "Ride On Time"
Blue Channel - "Mr Brightside"
What channel would you choose?? Are you nominating yourself or someone else. Why should they win the wedding? How did the proposal happen? Tell us an interesting fact about the couple? You must be available on Sunday 19th May 2019 to attend the Live Final at 10 am. The Wedding will be held at the Doubletree by Hilton Edinburgh Queensferry Crossing on Friday 25th October 2019. You must not have already booked your Wedding at the Doubletree by Hilton Edinburgh Queensferry Crossing. You must be ordinarily resident in the Council area of Fife. All wedding prize dates have been reserved. They are not transferable. Couples must be able to fulfil their remaining wedding arrangements and legal requirements for the confirmed wedding date of Friday 25th October 2019. Any additional items or services required for the wedding which are not included in the prize will be at the expense of the winner. You must be at least 18 years old and may be asked to provide proof of age. Prizes are subject to availability. There is no cash alternative to any part of this promotion or its prizes.